Gabby Dawnay - writing and artwork: The new Eco Kids Galapagos Islands issue...plus this perfectly-timed video! 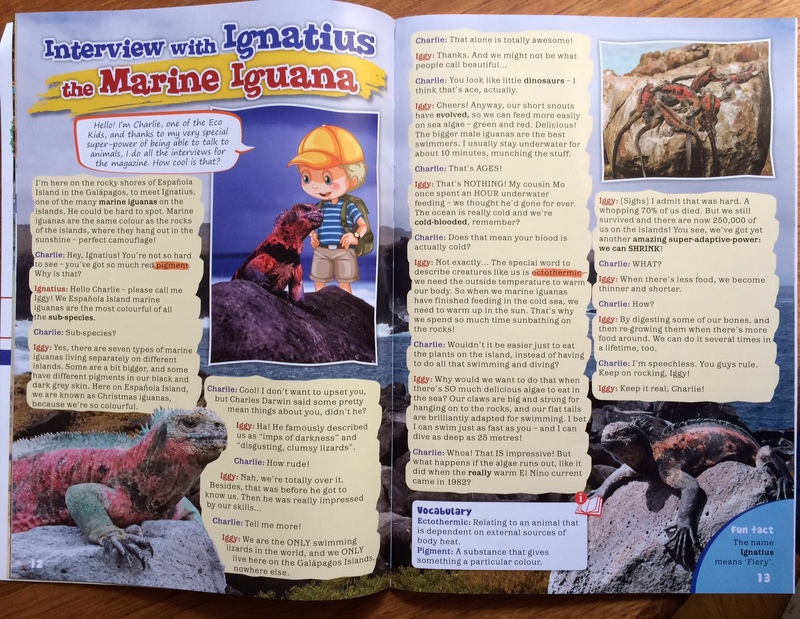 The new Eco Kids Galapagos Islands issue...plus this perfectly-timed video! Swimming lizards? Who would have thought! Adaptation and evolution at its most awesome.